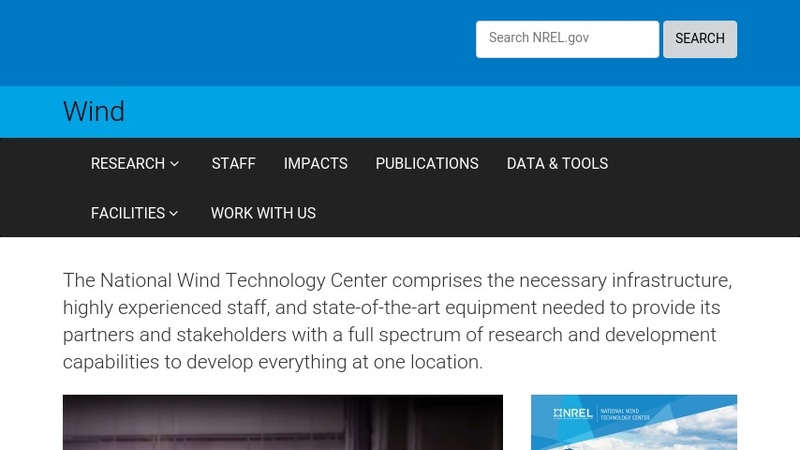 The National Wind Technology Center (NWTC) is a Colorado-based research facility managed by the National Renewable Energy Laboratory (NREL) for the U.S. Department of Energy. Their goal is "to advance wind power technologies that lower the cost of wind energy through research and development of state-of-the-art wind turbine designs." The website describes the center's research programs on Applied Research, Turbine Research, and Cooperative Research and Testing. Topics such as aerodynamics, turbulence, modeling, wind turbine technology, and utility grid integration are discussed. The website also describes the organization's relationship with industry and provides information for consumers. The Library includes preprints as well as brochures and fact sheets. Visitors can follow the link to the NREL's Publications Database for more documents by staff and subcontractors of NREL and NWTC.